2011 WBC EVENT PREVIEWS AVAILABLE: The individual event previews for	all WBC tournaments are now posted at http://www.boardgamers.org/yearbkex/ as only WBC does them. View the details of your favorite events and	then plan your schedule using Steve Okonski's Personal Scheduler at http://www.boardgamers.org/wbc/sviewer/. You can find additional scheduling aids at http://www.boardgamers.org/wbc/schedule.htm—including both color and B&W pocket schedules, an all-in-one	version, a spreadsheet and ical files for the ultimate in planning your week at WBC. More formats are being added. WBC 2011 PRE-REGISTRATION NOW OPEN: The registration form for the 2011	World Boardgaming Championships is now available at http://www.boardgamers.org/downloads/WBC11prereg.pdf. Current Sustaining/Tribune level members need not register except to	enter a team in the Team Tournament or order souvenir hats, shirts, or	Yearbooks or purchase Pre-Con admission (non-Tribune members only). Pre-registration is encouraged as it saves $10 per person over at-the-door rates. WBC LOGISTICS: So, have you registered yet? If you forgot whether you	renewed your membership, you can check your status at http://www.boardgamers.org/wbc/prereg.htm. You will also be able to look for roommates, team members, rides,	non-gaming excursions and Open Gaming opportunities on this page by	sending your request to acd@boardgamers.org. All we ask is that you	promptly notify us to remove your advertisement when your needs have	been met so as not to waste others' time. WBC VENDORS: The WBC Vendor's Room is again a sellout, assuring	attendees a wide selection of new and hard-to-find games to purchase	in 2011. See the vendor links on our home page for a complete list. If the Vendor's Room is an important part of your convention	experience, be sure to visit during the last three days of the	conference because it does not open until Friday, Aug. 5. GAME LIBRARY: The BPA Game Library continues to grow with additions	from a wide variety of publishers—including some unable to attend	our Vendor's Room. But you can still examine their products at your leisure. Check out the new additions at http://www.boardgamers.org/wbc/opengaming.htm. This year the Library will be available from Monday through Saturday	in the 13,000 sq ft tiered dinner theatre of the Lancaster Showroom	which will be open for the entire week. This expansion has been made	possible by the generous sponsorship of Queen Games. WBC AUCTION/AUCTION STORE REGISTRATION NOW OPEN: The drill is much the	same but the site will be different as we move the auction from the	Lancaster Showroom to Lampeter Hall. Check out all the details at http://www.boardgamers.org/wbc/auction.htm and http://www.boardgamers.org/wbc/auctionstore.htm. As always, pre-registration of items is required ... do not bring unregistered items. LATE ENTRIES: WBC welcomes back Valley Games which will be sponsoring	new Days of Steam and Stronghold tournaments. Check them out on our	expanded event previews. WBC 2011 is now closed to new tournaments,	but we remain open to late Seminar additions. Contact conventiondirector@boardgamers.org to volunteer. YEARBOOK & FREEBIES DEADLINE: The chance for free souvenir shirts,	hats and yearbooks has passed. Those wanting these items need to order	them before July 23 for delivery at WBC. 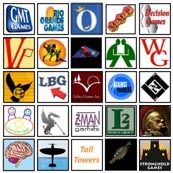 Qualifying members of	record by the required deadline were mailed their Yearbook on May 6,	but those wishing a look can still view the annual summary of the BPA	year at http://www.boardgamers.org/yearbook10/print/. Programs with	the 2011 schedule will be available later, but only online and at WBC. BOARD OF DIRECTORS 2011 ELECTION: The E-Ballot for the 2011 election	is now available at http://www.boardgamers.org/election.htm. Jonathan	Lockwood is again making a bid for a Board seat against the three	incumbents; Ken Gutermuth, Kaarin Engelmann, and Bruce Monnin. Please	take a moment to cast your vote sometime before the July 15 deadline. Even if you're indifferent to the results, by law a	required percentage of the membership must vote for a valid election. Failure	to do so, will require an additional election at more expense which	will ultimately be passed on to the membership. While ballots can be	cast by mail or email also, true on-line voting for the ultimate in	convenience is available at http://www.boardgamers.org/forms/BoardBallot.shtml. BOB DWYER: BPA sadly notes the passing of charter member Bob Dwyer who	lost his battle with cancer last month at the age of 55. A member of	the Jersey Association of Gamers, his red hair topping a constant grin	was a given at every WBC and will be missed this summer for the first	time. Pay your respects at http://www.boardgamers.org/memorial.htm. WILDERNESS WAR: The preliminary rounds have concluded and the top eight players out of a starting field of 50 have advanced to the elimination rounds. After four rounds, three undefeated players remained: Keith Wixson (the 8th seed and a former WBC champ), John Buse (the 9th seed and a former PBeM tournament winner) and Stefan Mecay (the 10th seed). They will be joined in the quarter-finals by the following players who each advanced with one loss on the basis of their tiebreak points: Kevin Worth (lost to Wixson), Al Owen (lost to Wixson), Adam Deverell (lost to Jean-Louis Dirion), George Seary (lost to Mecay) and Bill Peeck (lost to Mecay). The tournament should conclude by the end of the year. Notable among the top 7 seeded players who failed to advance were James "The Master" Pei (a former three-time WBC champ and the winner of two previous PBeM tournaments), Paul Gaberson (the current and three-time WBC champ), and Ron Fedin (another former WBC champ). Fedin only had one loss (to Dirion), but his tiebreakers were not strong enough to advance. Pei went 2-2, losing to Seary and Deverell, while Gaberson also went 2-2 while losing to Owen and Worth. STONE AGE: The Second BPA PBeM tournament for this game is scheduled	to kickoff on June 15th and will be conducted through the website www.yucata.de. Entry is free to all current BPA members. The event will be run in	pools of 2-player games. There will be two rounds of pool play,	advancing the top players to a round robin playoff. Each pool will be	composed of four players, assuring everyone a minimum of three games	per pool. Players are expected to complete one round per day; a round	consisting of all workers on the board, resources allocated, and	worker freeing phase complete. For more information, see http://www.mrjamelli.info/maxgames/stoneage2011.html. To register, contact GM Max Jamelli at maxjamelli@gmail.com. FOR THE PEOPLE: Veteran GM Don Chappell will be starting the 2nd BPA	sanctioned For The People PBeM tournament on ACTS starting 31 May	2011. The format will be Swiss Elimination with eight players	advancing to the elimination round after three rounds of Swiss play. The rounds will be 12 weeks in length and players are expected to	average one card play per day. For details see http://www.angelfire.com/ny4/gmtom/FTPtournament.htm and contact Don at don.chappell@lmco.com to register. SPEED CIRCUIT: Our first PBeM racing tournament is being planned for	a September 8th start using the special WBC rules and charts. Moves	are expected every 36 hours and dice will be rolled using the on-site	dice server for the event at http://lucidphoenix.com/sc/wbce/. Check	it out and sign up by contacting GM Robert Rund at rbrund@verizon.net	or talk to him or Doug Schulz at the WBC tournament.